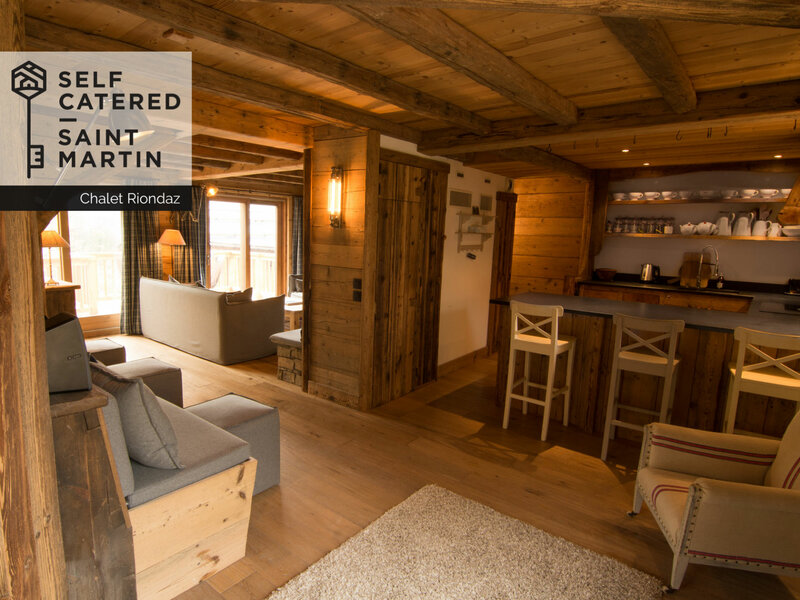 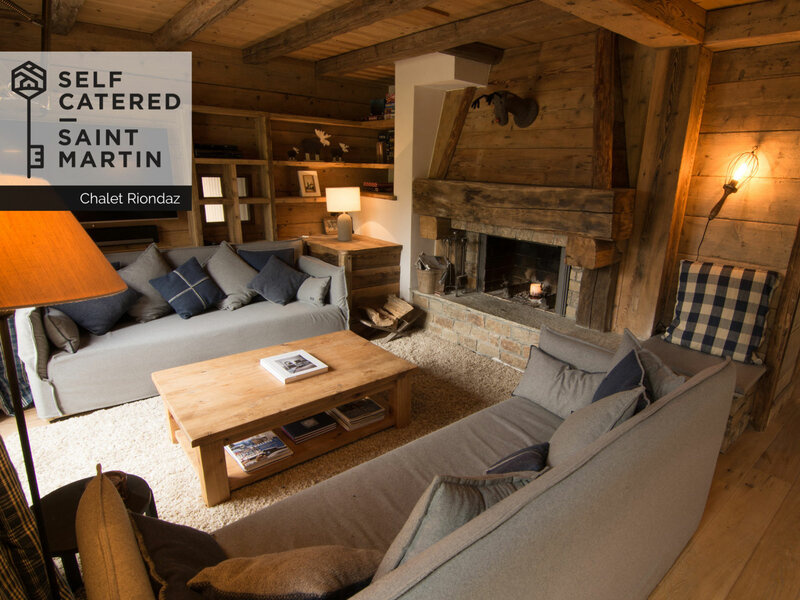 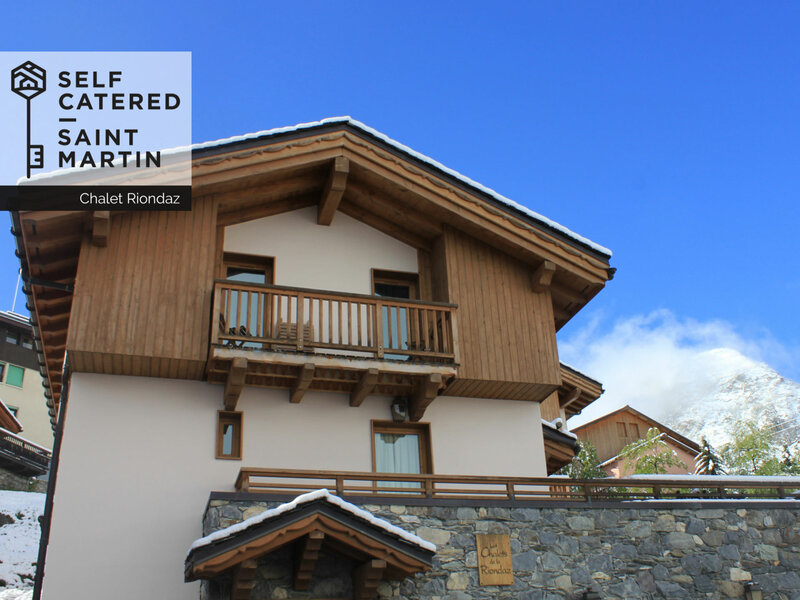 Chalet Riondaz is a real home from home set in the beautiful village of St Martin. 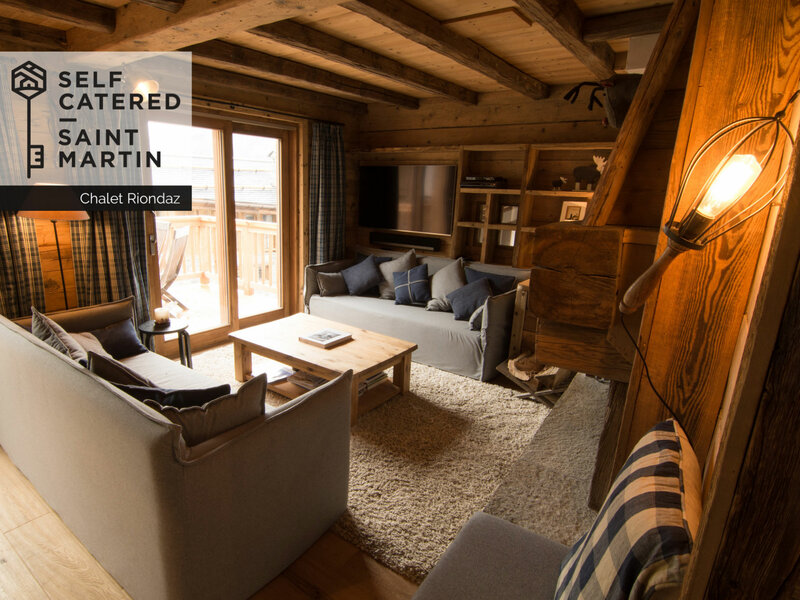 Just a 5-minute walk from the village drag-lift and with breathtaking mountain views from the various large sun terraces and stunning bedrooms, this is the perfect family ski chalet. 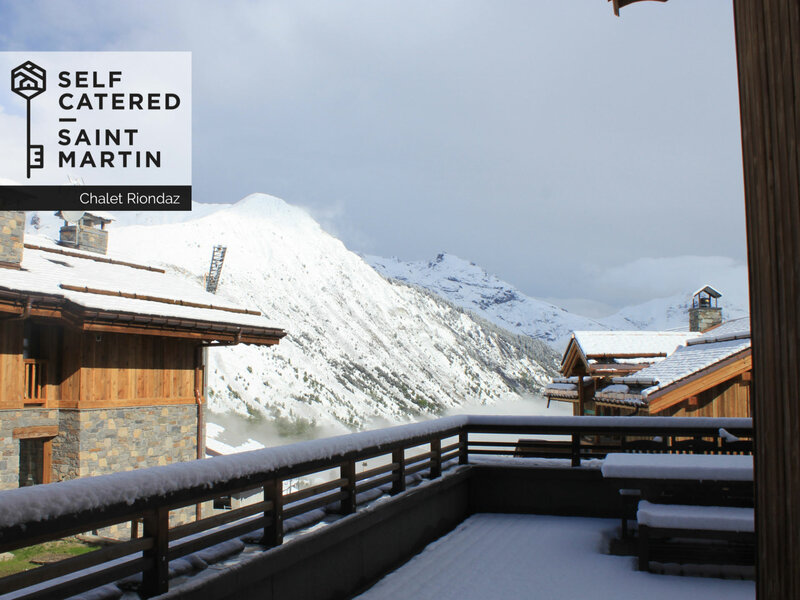 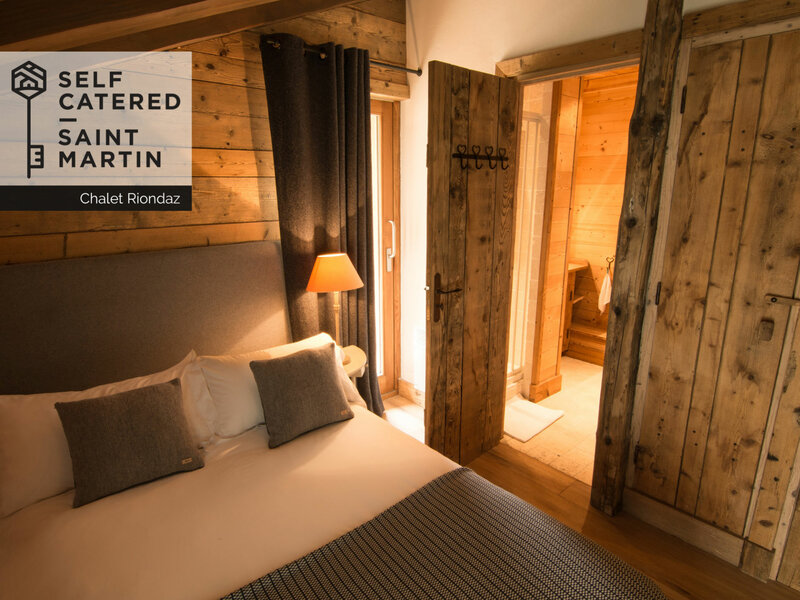 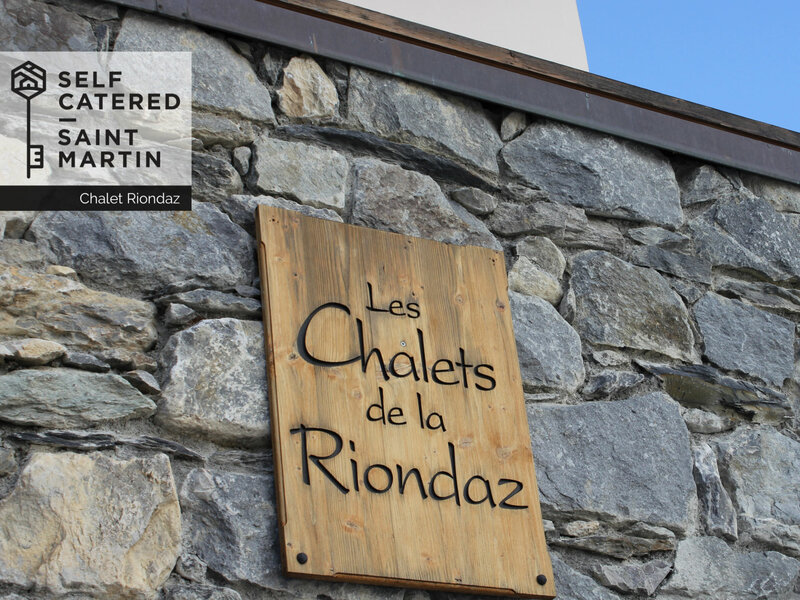 Chalet Riondaz is tucked away on a quiet residential street, in the heart of St Martin de Belleville. 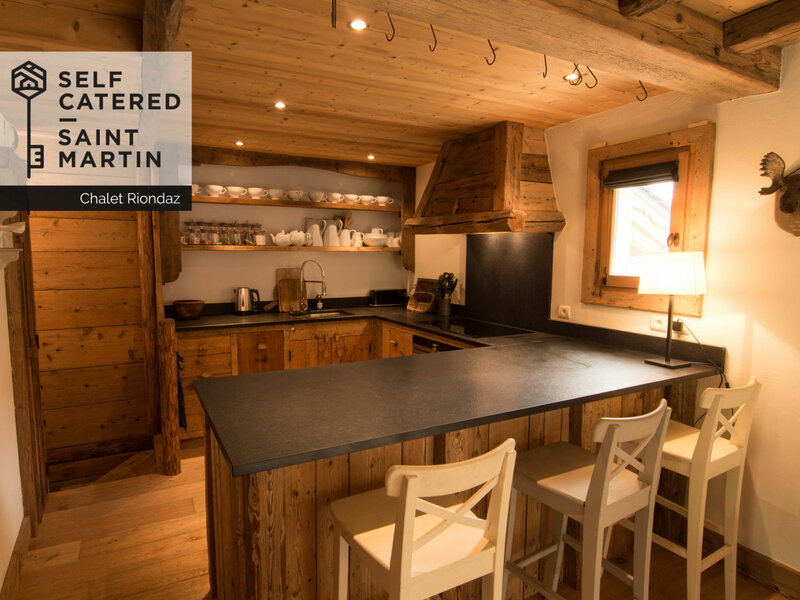 Within less than 150 meters from the village-centre drag lift, this chalet is within close walking distance from the slopes. 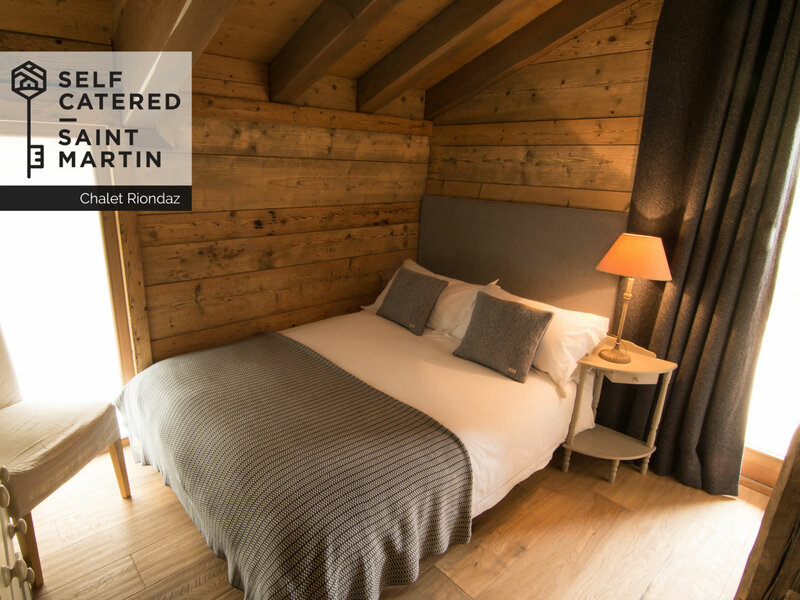 The chalet comes with 6 ensuite bedrooms and a gorgeous kitchen, dining and living room area occupying the whole of the 2nd floor. 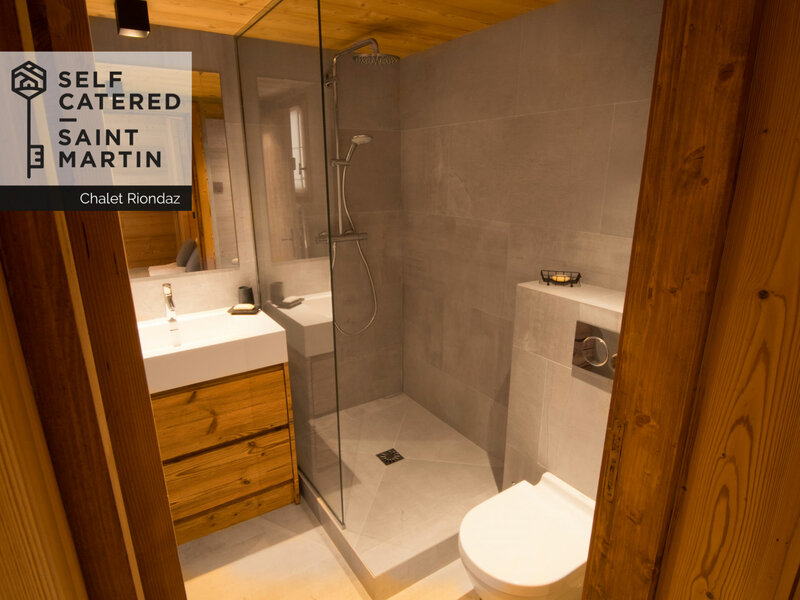 There is a brand new, spacious boot-room (with boot warmers and tons of storage space for your ski equipment), and a laundry room for extra convenience. 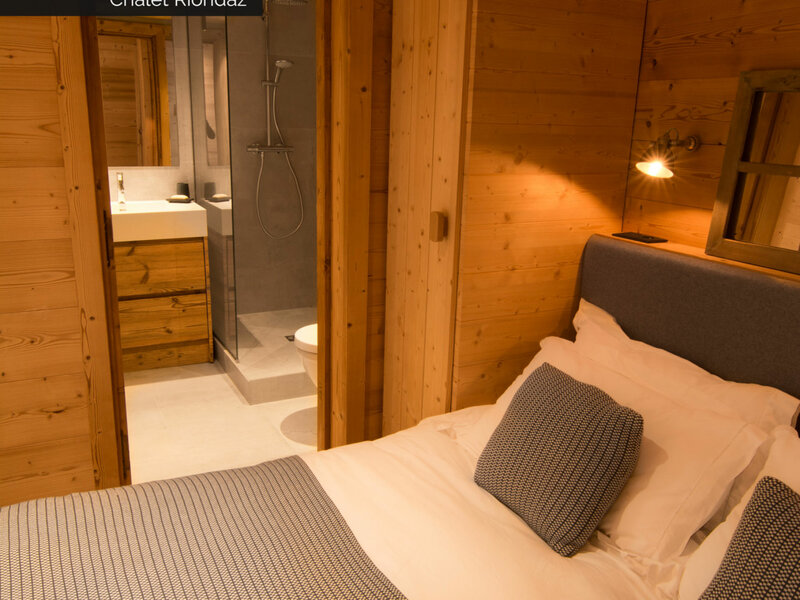 The base price allows up to 12 people in 6 bedrooms all of which have their own bathroom. 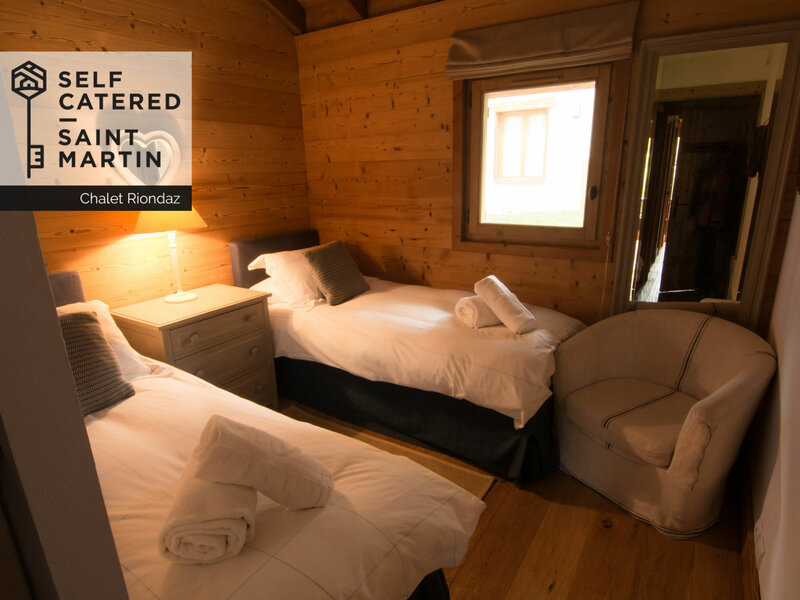 Additionally a 7th annex room with bathroom can be booked allowing up to 14 people in total. 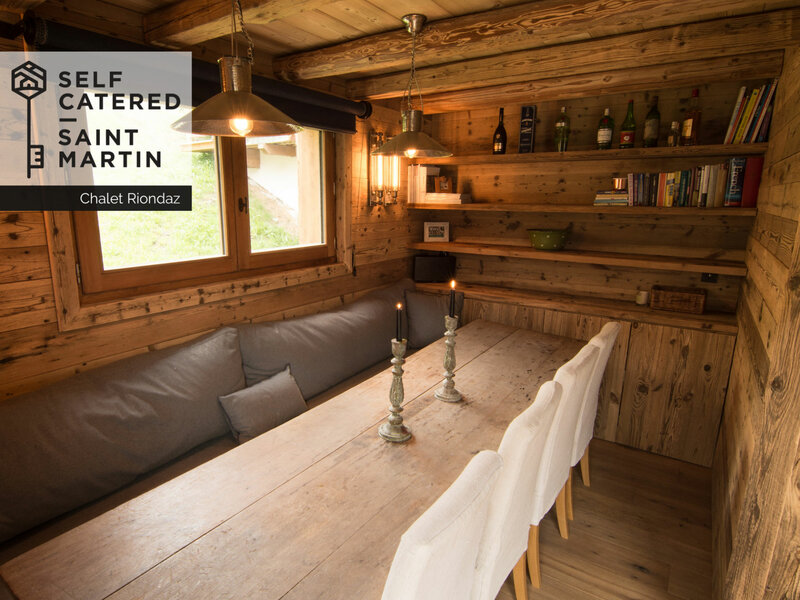 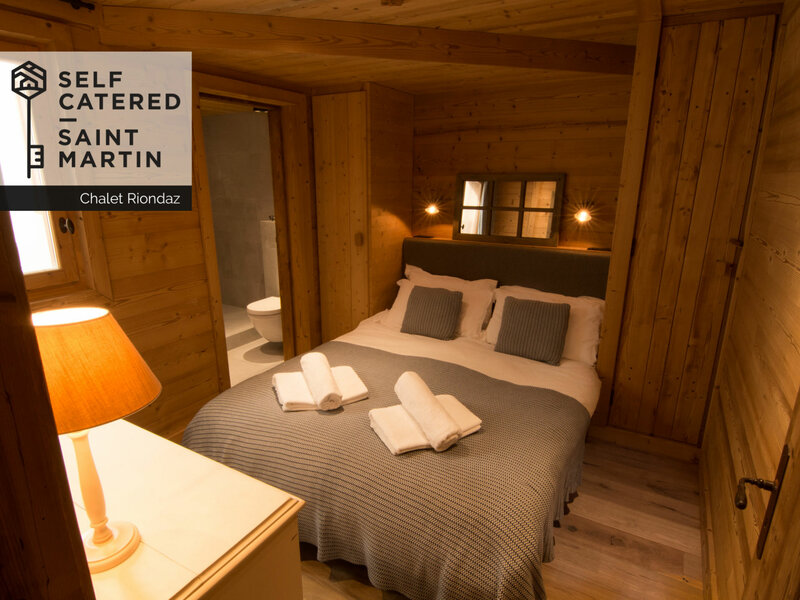 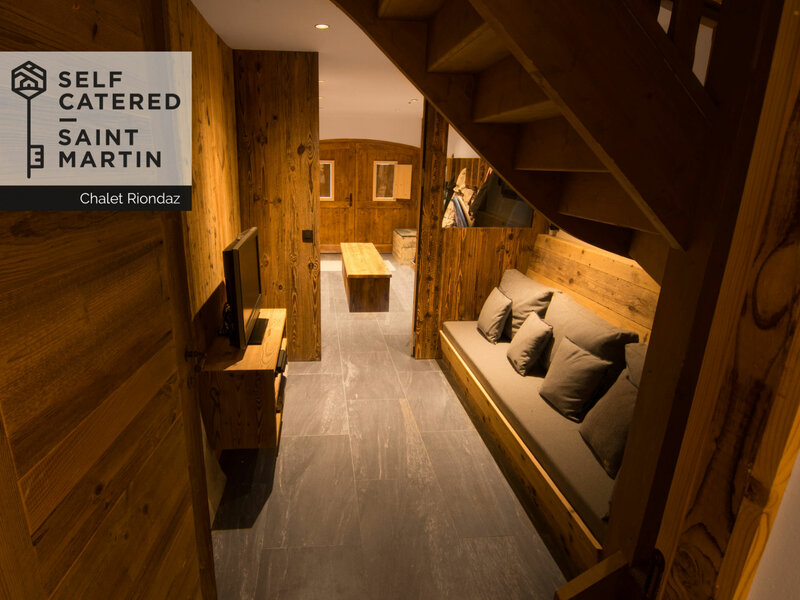 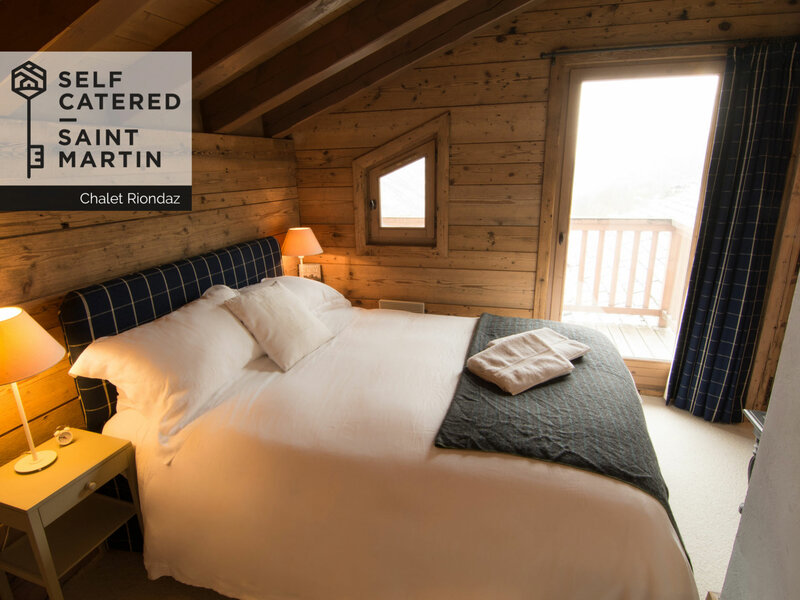 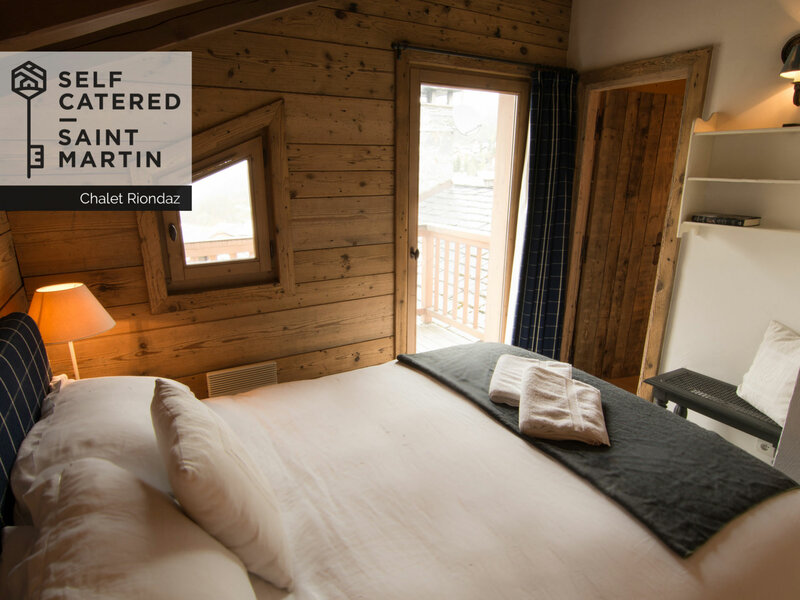 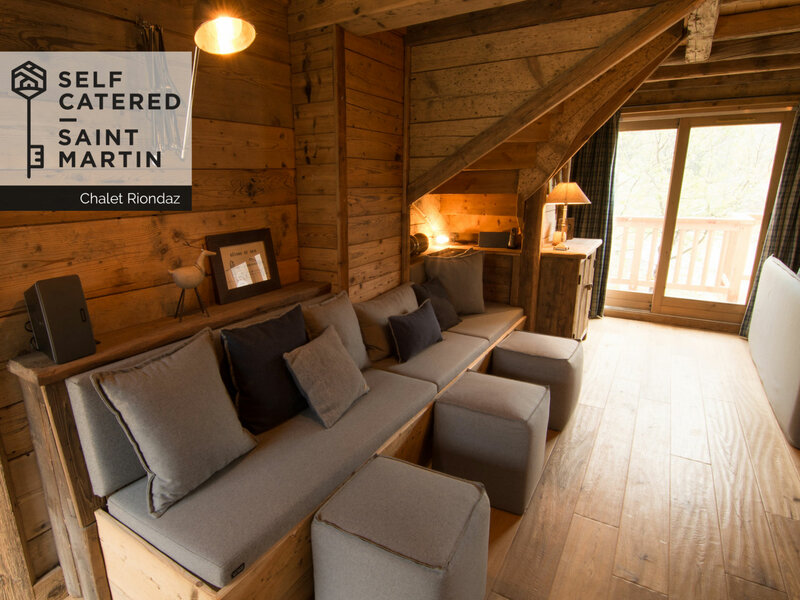 Chalet Riondaz can be set up as a 6-bedroom 6-bathroom chalet sleeping up to 12 people. 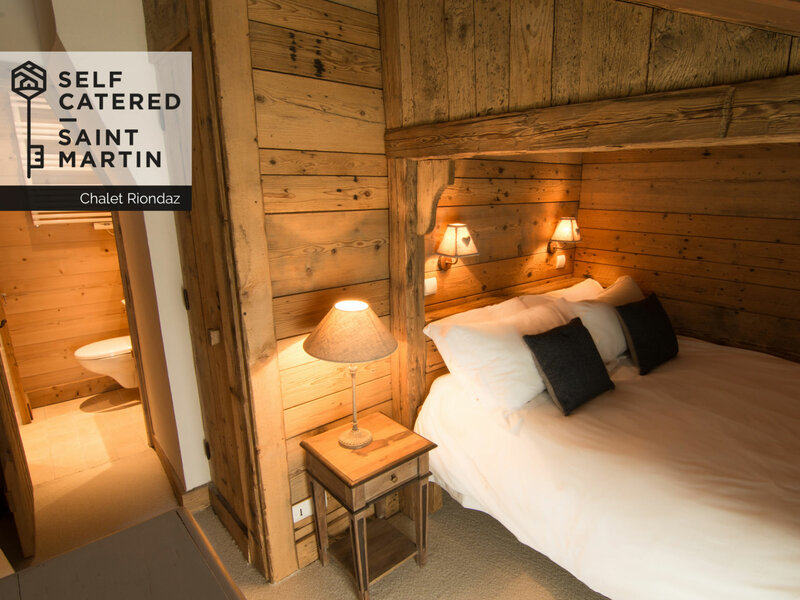 Alternatively an additional annex bedroom with two single sofa beds can be rented to allow an additional 2 children / teenagers.